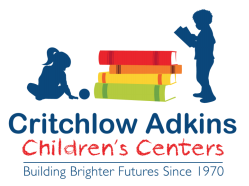 The School Age Site (SAS) of Critchlow Adkins Children’s Centers offers a wrap around pre-kindergarten program, as well as before and after school programs for children in kindergarten through fifth grade. The program for school age children is offered all day during most school closings and the summer months. All programs operate from 6:45 a.m.-5:30 p.m. The SAS is accredited by the Maryland State Department of Education’s (MSDE) Early Learning Division and licensed by MSDE’s Office of Child Care. This is a wrap around program that provides enrichment to children who attend half day Pre-K at Easton Elementary School-Moton Building. Our teachers use the same theme based Houghton-Mifflin curriculum, but it is used to enhance what is already being taught in the public school classroom. The afternoon program also involves a quiet/nap time as well as outdoor activities and a nutritious snack. The activities for this mixed age group include using manipulatives, building literacy, science exploration, technology, arts and crafts, cooperative games, and homework assistance if requested. Supervised large motor activities are also provided in the gymnasium and outdoors. Fun-filled days of swimming lessons, arts & crafts projects, outdoor play, center play, cooking projects and field trips describes the SAS summer program.